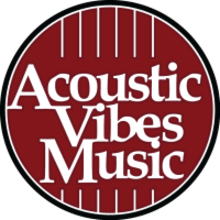 Acoustic Vibes Music is Arizona's (and the West's) Premier Acoustic Music Store since we opened in 2007. We stock all major brands of Guitars (Acoustic, Archtop Electric, Classical and Reso) Banjos, Mandolins and Ukuleles. We pride ourselves on building strong relationships with our customers by our unyielding and exceptional customer service (check out our unsolicited feedback on our testimonial page down below!) and by selling the finest instruments to the finest musicians - that's you! Your satisfaction and comfort is our goal. Let us help you on the journey to your next dream stringed instrument! We make the adoption process enjoyable and easy-peasy. We use the utmost care when we setup these instruments to the specifications and desires of the customer before we delicate pack it securely in a box full of joy, before shipping it overnight at no cost to you. Jeff is the owner, mastermind and creator of AVM. As our business increased not far after it was born, Jeff sought out and brought on 2 more members and formed a team - but more like a family, really. Kathryn does the photography, handles payments and coordinates shipping all while chatting with you via phone or email. She's there to help you with any of your questions or concerns! Got an itch? She'll scratch it. Life problems? She'll solve it. Need a shoulder? She's got two. Bernie is the tech and luthier for the shop who has over 20 years of experience. Exceptional in his skill and absolutely irreplaceable, he lovingly cares for each and every instrument that enters and leaves our shop. He'll take the time to talk to you on the phone and answer all your questions with honesty and patience. Some of our out of state customer have even shipped their instruments across the country to have Bernie install a pickup, do a repair or even just for a setup. Thats.How.Good.He.Is. Hashtag, we're lucky. Here at Acoustic Vibes Music we keep our shop humidified between 45%-55% at all times. Yup, 365 days a year - Arizona's dry, we don't mess around. 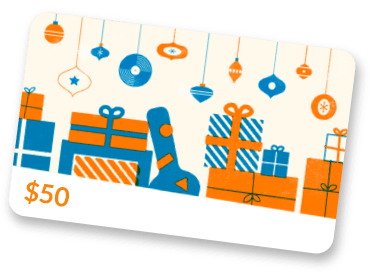 Come on in our shop for a personal tour of all 5 rooms with some 300-400 beautiful instruments or browse our website and listen to personalized sound clips and see photos of the actual instruments!